Denis is 6’ tall and around 225lbs at the time we shot this workout DVD. We first saw Denis’s photo posted on the internet after a contest in Venice Beach, CA in June 2007. Our Las Vegas associate Dr. Richard Rossan tracked him down and to our amazement discovered that Denis was also a resident of Las Vegas. Richard had his first photo shoot with Denis in August, 2007. When I saw the test photos I was immediately impressed and put DENIS SERGOVSKIY onto my “wanted list” for a DVD production in 2008. 2 further photo shoots followed, all outstanding sessions with this extremely popular new young pro and physique model. All 4 photo shoots with Denis are included in the HUGE photo gallery on Denis in disc 2 of this 2 DVD set. Denis came to Las Vegas from Russia several years ago to pursue his career in both show business and bodybuilding. He subsequently obtained his pro card in Russia and hopes to make his professional debut at the 2009 Iron Man Pro in Los Angeles. He is in his mid 20s and for all his fans, both men and women - he is still single. When we were shooting the DVD in Gold’s Gym, Las Vegas, a group of fans followed him through each exercise, watching this male physique star as he went through his entire workout! 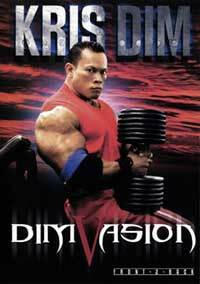 In the DVD Denis covers all the major bodyparts showing his favourite exercises while flexing and posing each body-part after every exercise. The workout culminates with his spectacular and dramatic posing routine. Denis is also a fan of martial arts and you will see elements of this come through in his performance. The man is a superstar in the making and one of the best built and best looking, most charismatic guys we have ever shot. Denis’ segment runs 31 mins. Known as Con, he is also is also 6’ tall and weighed around 230 lbs in our Las Vegas poolside shoot on Olympia Sunday, one week after his appearance in the Atlantic City Pro. Con is shredded and in fantastic contest condition having stayed on his diet ready for this DVD shoot. Con has won the IFBB Australian title 5 or 6 times and made his pro debut at the 2008 Australian Grand Prix in Melbourne. We incorporate segments from this appearance, plus his gym training in Melbourne on the day after the GP in the DVD. It is not a complete workout but demonstrates some of his favourite exercises, with tensing and posing and loads of photos. The final part of Con’s DVD segment shows him posing poolside under the blazing Las Vegas sunshine, sweat dripping down his vascular striated body, while pumping, posing and tensing to the max. He concludes with some duo poses with fast rising young NPC star CRAIG GOLIAS. Final photos are taken with Con in the pool. Here is Australias top new pro in his debut year in the big time! 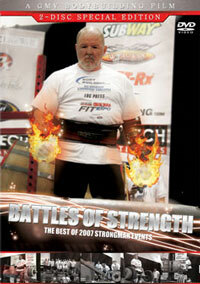 We hear that Con will be bringing out his own training DVD in 2009 and GMV will certainly be stocking it! Of Greek heritage, Con started bodybuilding at the age of 16, and won his first show a year later. 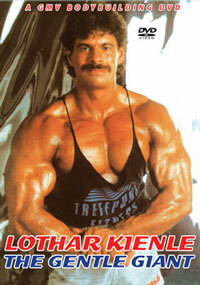 He won his first IFBB National Australian title at the age of 23 before going on to win it many more times. His trademark has always been great arms and abs on a Herculean physique! Con’s segment runs 21 mins. I predicted back in 2004 that California’s Charles Ray Arde, known as “Sting -Ray” Arde would one day grace the pro stage! 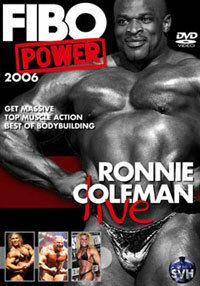 This prediction sure came true when he won the Light-Heavyweight Class at the 2005 NPC Nationals, gaining his pro card. 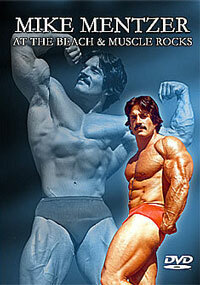 Ray is one of the world's top bodybuilders and physique models. His segment features him pumping, oiling and posing in a Las Vegas garden, naturally in brilliant sunshine. Sting-Ray Arde in his interview spoke of his ambition to one day grace the Olympia stage. I think this ambition will also be realised. Later we had a second shoot with Ray in the gym. He was in rock hard condition as he showed us some of his favourite exercises along with more posing. The segment concludes with his appearance at the 2008 Iron Man Pro where he was well received by the appreciative audience. With his massive V-shape and rock hard abs, Ray certainly has the total package! 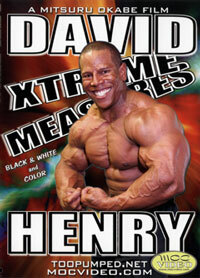 Ray placed first at the 2008 IFBB Houston Pro in the 202 Class and also competed in the 202 Class at the 2008 Olympia. 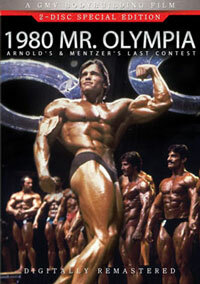 To see Ray in the 2008 Olympia 202 Class, please click here for A-1286DVD. Ray’s segment runs 35 mins. Sergey Shelestov, like Denis, is also a native of Russia. In his segment on this 2 disc DVD set, see Sergey working out on the day after the Aussie GP, posing for photos, plus on-stage posing highlights from the 2008 Australian Grand Prix. 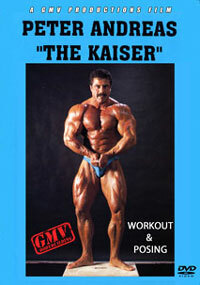 He is a mass-monster - a rock hard bodybuilder in top condition in the DVD. Let’s hope that next year we can capture a complete workout with Sergey. Sergey’s segment runs 8 mins. Total running time Disc #1: 98 mins. DISC #2 – PHOTO DVD. The second disc is a photo DVD with background music added and presents 4 massive PHOTO GALLERIES with one each on our 4 stars. For example the Gallery on DENIS SERGOVSKIY includes all of the photos by Richard Rossan taken exclusively from 4 separate shoots with Denis over the last year. 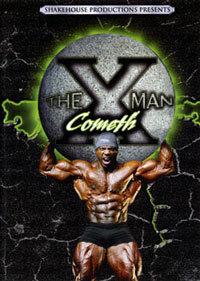 The front cover photo was taken during the making of this DVD at Gold’s Gym, Sahara, in Las Vegas at the time of the 2008 Olympia. The photos are extensive and the CON DEMETRIOU photos were taken variously by all 4 photographers named below. The SERGEY SHELESTOV photos were taken by Gary Phillips, Robert Szabo and Wayne Gallasch. The RAY ARDE photos were taken by Richard Rossan and Wayne Gallasch and includes Ray in the 2008 Olympia 202 Class.